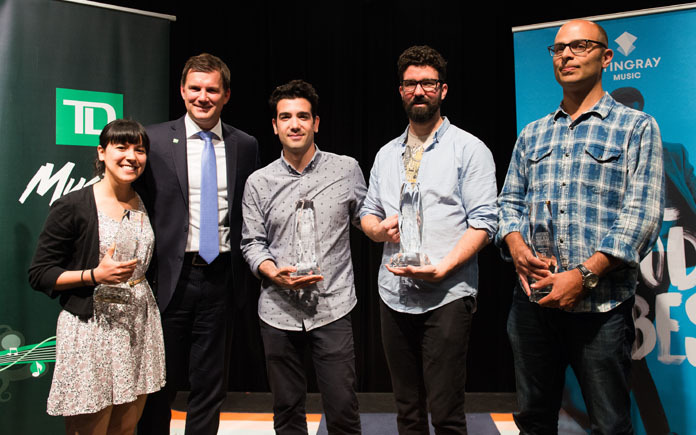 Montreal, Wednesday, July 5, 2017 — The Festival International de Jazz de Montréal in collaboration with TD Bank Group—official sponsor and presenter of the event—are pleased to present the 36th TD Grand Jazz Award to Allison Au Quartet, which was deemed best of 8 other jazz ensembles who took part in the pan-Canadian competition. The Stingray Rising Star Award for best composition was given to Jazzamboka for their piece In The Morning. The Allison Au Quartet was presented the 2017 TD Grand Jazz Award by Laurent Saulnier, Vice-President Programming and Stéphan Bourbonnais, Senior Vice-President, TD Wealth Management, at a press conference, today at 1 p.m. in the Salle Stevie-Wonder of the Maison du Festival. The TD Grand Jazz Award entails: The 2017 TD Grand Jazz Award and a $5,000 grant from TD; the opportunity to present a free concert tonight at 6 p.m. on the TD Stage, and an invitation to take part in the 2018 Festival International de Jazz de Montréal. Also an invitation to perform at Festi Jazz International de Rimouski, 2018 edition. Stingray Music is proud to be associated with the TD Grand Jazz Award. The 2017 Stingray Rising Star Award is going to Jazzamboka for her piece In The Morning, considered by the jury to be the best composition presented in this year’s contest. The prize was presented to her during the press conference by Ariane Charbonneau, Marketing and Events Advisor for Stingray Musique. In addition to a $5,000 grant, the winner will also be given visibility on the Stingray music network all across the world. By encouraging these upcoming stars, Stingray Music is fulfilling one of its heartfelt objectives. Created in 1982 by the Festival International de Jazz de Montréal, the Grand Jazz Award has become a springboard for local musicians with bright futures in jazz. Every summer, the awarding of the TD Grand Jazz Award has increasingly drawn the interest of the general public, as well as observers of the national and international jazz scenes, giving that last big boost to groups or artists on the verge of general recognition. Eight Canadian groups and artists were in competition for the TD Grand Jazz Award 2016. Besides the winners, Myriad 3 (Ontario), Gentiane MG Trio, Only A Visitor (British Columbia), Huu Bac Quintet, Quinn Bachand (British Columbia) and Benjamin Deschamps also took part in the competition. The 2017 jury was comprised of: Michael Bourne (journalist, WBGO), Pierre-Jean Lavigne (programmer, Stingray), Martin Roussel (president, Festi Jazz International de Rimouski), Ron Di Lauro (professor and musician) and Rafael Zaldivar (musician). 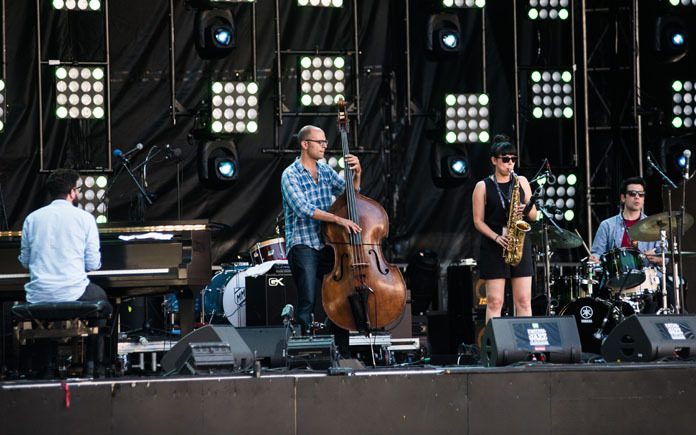 Take note that last year’s recipient, Brad Cheeseman, gave a free exterior concert on July 3 as part of Gammes TD series on the TD Stage of the Place des Festivals.